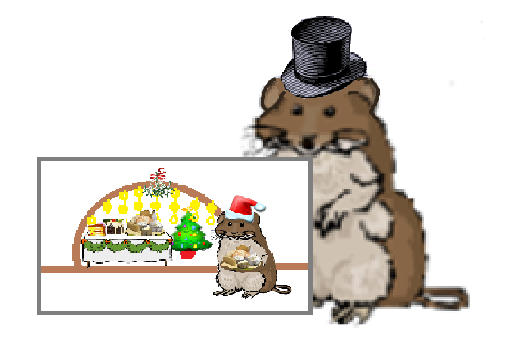 Wishing you a very happy New Year from all at Sprite’s Site! Sprite is watching the fireworks displays on her new TV and reading about the Scottish tradition of the first footer –the first person to enter the house in the New Year. The first-footer is traditionally a tall, dark-haired male bringing a gift such as a coin, bread, salt or coal. Intellectual Dabrowski is Sprite’s first visitor bringing her a lump of coal. The Origami Secretary Bird is trying to insist that everyone should make New Year resolutions. 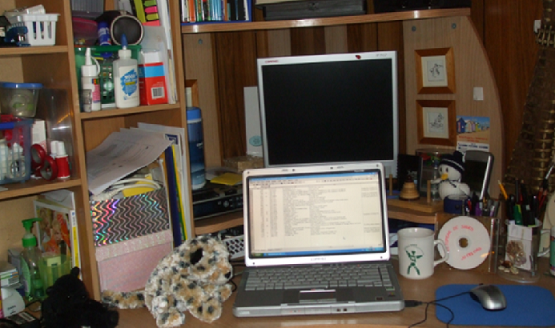 The Dabrowski dogs tried to make resolutions in 2011 https://spritessite.wordpress.com/2011/01/06/the-dabrowski-dogs-make-new-year-resolutions/ and have not done it since. 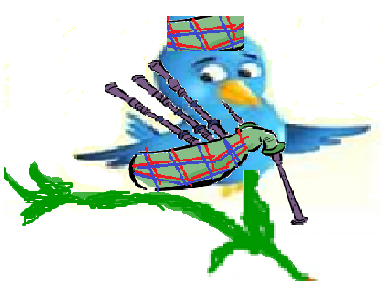 Oliver Moremouse and some of the Twitter Birds have compiled lists. Columbus Cheetah has resolved that in 2014 he will increase his efforts to bust the myths surrounding giftedness and advocate for acceleration and ability grouping opportunities for gifted students. Imaginational Dabrowski is contemplating the hourglass and thinking about how the sands of time run from the future through the minute moment of the present time into the past. He wonders whether it would be as simple to reverse the direction of the flow of time as it is to upend the hourglass. He also thinks that the hourglass looks like a lemniscate when it is turned on its side. 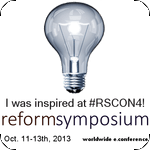 Socialization and Qualified to teach – posts about home schooling. At the end of May Gifted Resources website suffered hacking caused by vulnerability to exploitation in WordPress, the platform for both Gifted Resources blog and Sprite’s Site blog. 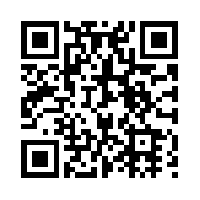 It means that we lost the blog internal links and I had to edit all the posts on both blogs to restore broken links. 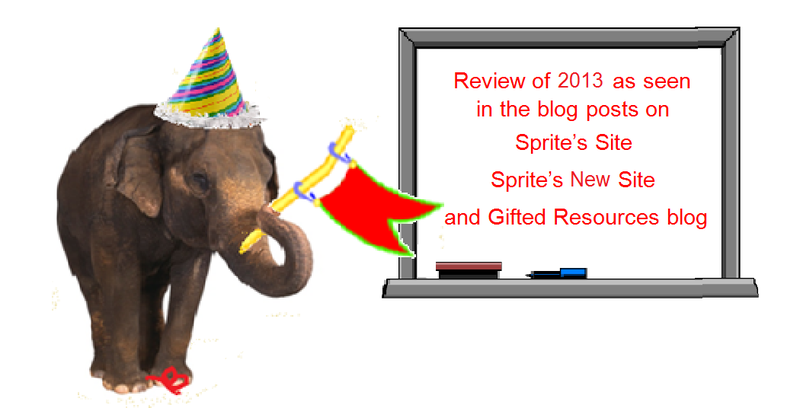 Gifted Resources blog with only 50 plus posts was repaired fairly quickly but Sprite’s Site which celebrated its fourth birthday in June had over 600 posts and took much longer to clean up. There were 0 blog posts in June. Sprite’s New Site was set up as a completely independent on the Edublogs platform at http://jofrei5.edublogs.org/ in June and contains the main series from Sprite’s Site. When the Memory Elephant returned from the Memory Elephant Day holiday everyone wanted help with preserving their Christmas memories. Here is part of my collection of recollections. 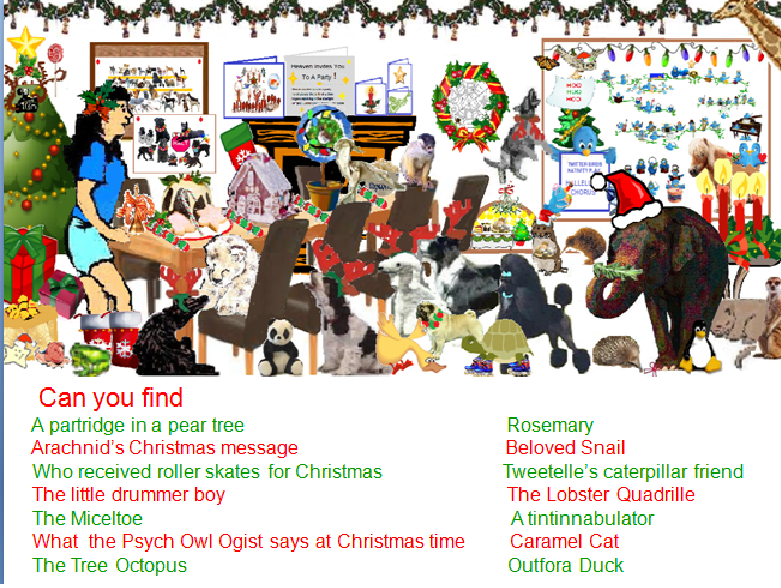 The Memory Elephant helped Oliver Moremouse to condense his Christmas season reminiscences into a picture for his wall. 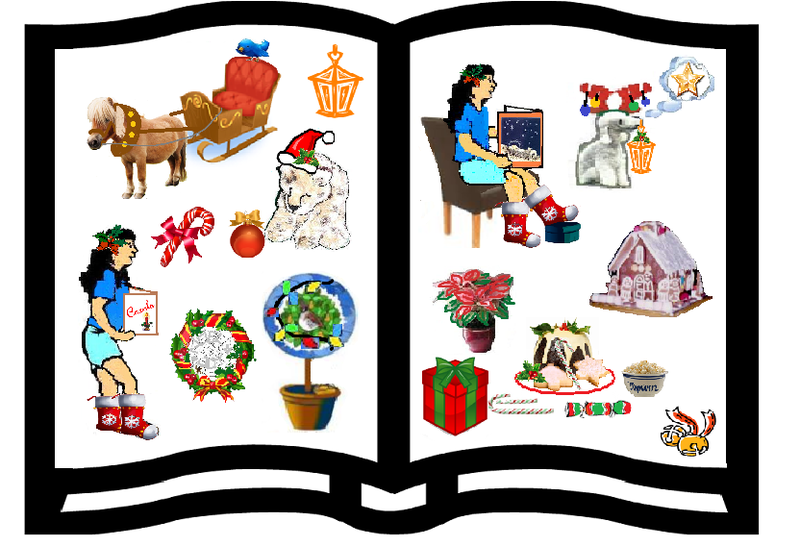 Sprite needed several pages for her Christmas memories. 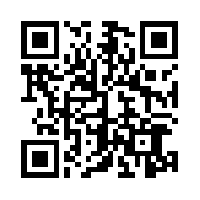 Here is one of them. 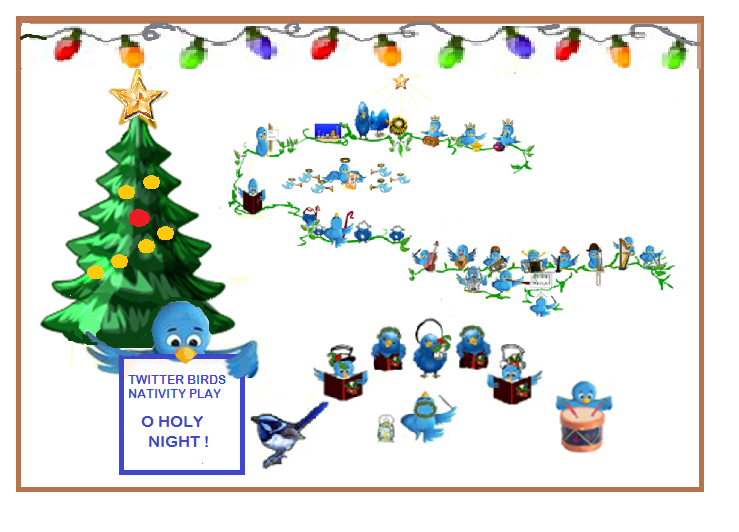 And the Twitter Birds also needed several pages for pictures of their Nativity Play and their Christmas festivities. Here is one of their pages. Memory Elephant Day on 30 December is the one day of the year on which Memory Elephants do not have to remember anything. It is their holiday. 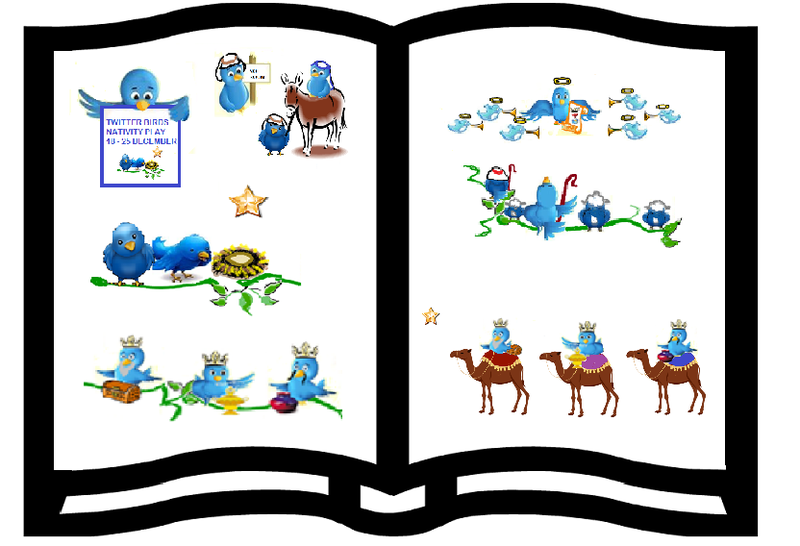 The Twitter Birds photograph and record the activities so that, even though they will not remember, the elephants will have some memoirs of the day. Here is a rather belated note about how Sprite and Co spent Boxing Day. Sprite read the astronomy book she was given for Christmas and watched the start of the Sydney-Hobart yacht race. In December this year the analogue signal was turned off; so Sprite’s TV does not work now. So Sprite was given a new TV for Christmas and the little old one has been turned into a new home for her fish. This year Sprite received a pair of De Bono’s 6 Action Shoes Purple Riding Boots with a book Good King Wenceslas and the Purple Riding Boots which describes programs for gifted education which focus on Leadership skills programs, Mentoring and Biographical studies and can prove very effective in helping the student to determine their path and find a role model. 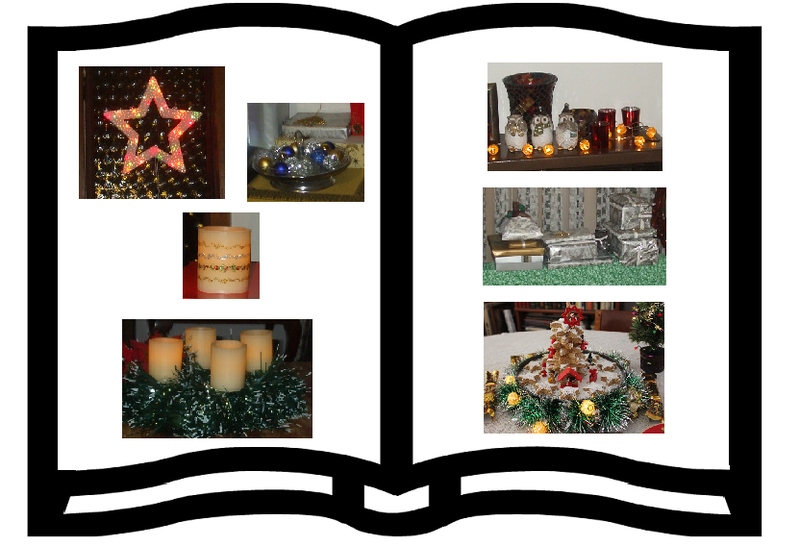 Tuesday December 24: O Holy night! Many of the guests have arrived. Arachnid has finished creating a Christmas message in the centre of the wreath. P’est Pour Parfait, the Perfectionist Poodle, is reminding Sprite to turn on the TV to watch Carols by Candlelight from the Myer Music Bowl in Melbourne, which is a perfect thing to do on Christmas Eve.